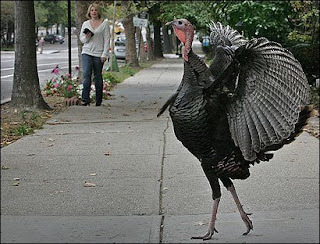 I want to wish you Turkeys a Happy Thanksgiving! I'm spending it with Snookums and his parents...Momma and Daddy Snookums. My contribution to dinner will be macaroni and cheese and a sweet potato casserole. Surely, Momma Snookums will send me home crying after a beating in Scrabble. I shall take my whipping like a man.